Animal Crossing – Create. build. game. Animal Crossing: New Leaf is the fourth iteration of the original game Animal Crossing released on the GameCube in 2001. Since the game’s initial release, Animal Crossing has developed a dedicated community of players that love the game and play each iteration. Today I will be looking at what it is about the Animal Crossing game mechanics, formal elements and narrative that makes the game so enjoyable for its players (Animal Crossing: New Leaf, n.d.; Nintendo, 2013). In Animal Crossing: New Leaf you play as a villager who moves to a new town and becomes the mayor. The villager can then maintain the town by pulling out weeds and keeping the residents happy. The villager can build public works projects, which will add different services and buildings to the town. The game allows the player to collect different items which can then be used to furnish their house or sold as a source of income. Purchasing and selling items in the game stimulates economic activity, which will develop the town’s downtown or “Main Street” over time. The game is played in real-time, so events will happen in the game even when the player is absent. This overview just scratches the surface of what you can do in the game (Nintendo, 2013). Animal crossing is an open world game, which means the game creates the illusion of agency by giving players meaningful choices and the freedom to choose their own objectives. The game does not follow a particular storyline, and the player does not need to complete tasks in any particular order. Even though Animal Crossing gives players a feeling of agency, their decisions are still restricted to the constitutive rules and boundaries of the game. For example, the player cannot build customized stores or shops to the game (Nintendo, 2013; Nacke 2014a). In order to develop a feeling of agency, the game contains a vast amount goals and progressions for players to engage in. For instance, if the player wants to increase the size of their home, they need collecting enough bells (Animal Crossing currency) to pay off their current mortgage before they renovate or add an addition. These progressions provide players’ with obstacles in the game. The obstacle in this example requires the player to pay off their mortgage before they can make any new renovations. In addition, progressions become increasingly more work as you move further along in the game, requiring players to abandon simple strategies for acquiring income (shaking fruit from the trees), and eventually learning to use their their tools to collect more expensive items (Nintendo, 2013; Nacke, 2014a; Nacke, 2014b). Every game has a core game mechanic that it is developed around. Animal Crossing has very complex mechanics and incorporates many of the eight core mechanics listed in Challenges for Game Designers (Brathwaite & Schreiber, 2009). The 8 core mechanics include, territorial acquisition, collection, prediction, building, survival, spatial reasoning, chasing/evading, and destruction. Animal Crossing’s core mechanic is collection, since the game can not operate without this function. There are three main tools used in the game to collect items: the fishing rod, shovel and slingshot. Each of these items has unique attributes, the slingshot hits presents out the air, the fishing rod catches fish, the net catches bugs, and the shovel can dig up fossils. The villager is also able collect fruit by shaking them off of the trees (Nintendo, 2013; Nacke, 2014a; Brathwaite & Schreiber, 2009). The collection mechanic in the game requires the player to collect and trade a number of different objects, currency, and resources throughout the game in order to complete most of game objectives (Nacke, 2014). These objects can then be sold or bought at the retail shops in the player’s town. Previous iterations of Animal Crossing had a very basic market system, since the purchase price and resell value for items never fluctuated .The previous iterations only offered one main retail shop where all items could be bought and sold (Nintendo, 2001; Nintendo; 2005; Nacke, 2014c). New leaf was the first iteration of Animal Crossing to adopt a more complex trading system,since it offers more retail competition, and adds more elements of chance. 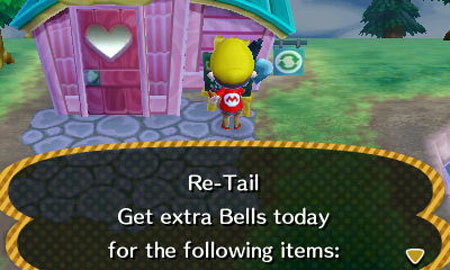 For instance, everyday the discount Re-tail store offers a higher resell value for a few specific types of items. In addition, this market system works on the basis of limiting the number of resources available to the player each day (Nintendo, 2013; Nacke 2014c). Each of the items a player picks up all has a unique value or utility to the player. The utility of an item often derives from the scarcity, rareness, or difficulty of collecting a certain object. For example, a saw shark’s value is 12,000 bells, but it can only be caught in the ocean from 4PM-9AM in the months of June to September. A sea bass can be caught at any time from the ocean and is valued at 160 bells (Nacke, 2014c; Fish, n.d.). A secondary mechanic that is quite important to the game is building. The game is flexible enough to allow players to build their home decor, clothing, outfits, and the town to a certain extent. This mechanic was developed more in depth for Animal Crossing New Leaf and was not as prevalent in its predecessors. A tertiary mechanic is socializing, and this has been developed more in Animal Crossing New Leaf for co-operative gameplay interactions rather than just player vs computer (Nacke, 2014a, Nintendo, 2013). Players are able to visit one another’s towns via the internet through sharing their friend codes. Friend codes are unique to each Nintendo 3DS to protect young players from interacting with players that they do not know (Nintendo, n.d.). There are a three main player objectives utilized in the game, construction, exploration and collection (Nacke, 2014a). Players can build up their town by adding public works projects, planting flowers, and building paths. 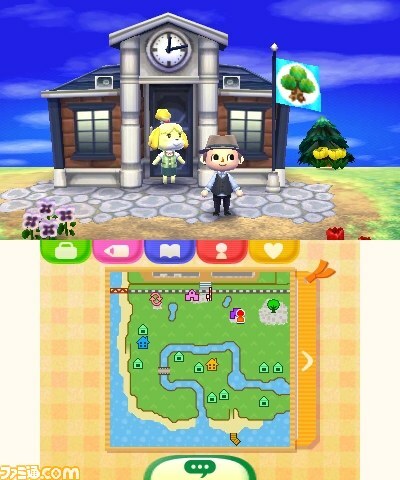 Players can explore the changing world of animal crossing with new events and surprise visitors that will seem to be in town at randomized points in the game (Nintendo, 2013). These events encourage players to explore the world and return to the game on a regular basis to see what is new. 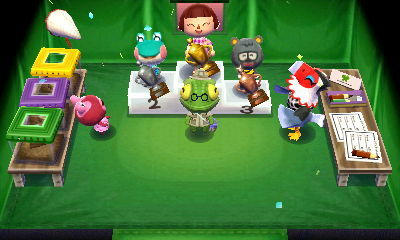 An example of an event in the game is the Bug-Off, where the player can choose to compete against the other animal villagers to find the largest bug that day. Players of the game have developed game guides and wikis that reveal most of these events or visitors appear on specific days in a regular calendar year, while some are randomized (Thonkey, 2015; Crazy Redd, n.d.; Nintendo, 2013). The exploration aspect of the game makes the player curious about the Animal Crossing world, drawing them into the magic circle (Nacke, 2014a). This was a big draw for me when I first started playing Animal Crossing, since there were so many hidden goals and activities. Special events would happen or visitors that would arrive periodically throughout the game. The town in the game is always growing and changing, which makes the game fresh and creates opportunities for the developers to add new items, events, resources, and obstacles throughout a user’s time playing the game (Nintendo, 2013; Thonky, 2015) . Finally, a major player objective is to collect items, such as bugs, fish, paintings, fruit, furniture and other items. The overall objective could arguable be to complete everything in the game by creating a “perfect town”, collecting every item, building every public works project, and experiencing every town event. Essentially this means that the overall objective would be to achieve everything that is possible within the game (Nintendo, 2013; Nacke, 2014a). The narrative of Animal Crossing is not predefined or linear as a typical storyline with a three act structure (Beginning, Middle, End) (Nacke, 2014d). Other video games make use of the three act structure to tell interactive stories. For instance, Uncharted: Drake’s Fortune follows a very strict storyline and does not allow the player to deviate too far from the predefined path (Sony Computer Entertainment, 2007). Animal Crossing is designed to allow the player’s experience to create their own story (Nintendo, 2013). In the opening sequence of the game, the character you play as (the villager) is on a train and starts having a conversation with another passenger named Rover. The conversation between the player and Rover sets-up the background of the character. The conversation is not a predefined movie clip, and allows the player to manipulate the conversations which alters their background story. For example, the player has some level of control over the personality they are developing for their character, which once they arrive in new town will impact the appearance of their character. The player is also able to name the town they are moving to and choose a town layout from a few different options. The game is designed around the idea of allowing the player to develop their own story through the play (Nintendo, 2013; Thonky, n.d.). The game does not provide the player with background information about the villager’s past life. For instance, the designers could have added objects from the villagers previous life into their inventory. I think that Animal Crossings introduction doesn’t need to provide additional information about the villager, since the narrative is intended to set up the game and turn the character into a blank slate. In addition, the narrative never returns to the character’s background, and the gameplay focuses on the villager’s new life in a new town (Nintendo, 2013; ExtraCreditz, 2012). The introduction is a way to place the character in the new setting in a believable way, while still allowing the game designers to integrate the player onboarding process into the game world. In the narrative structure of the Hero’s Journey, the call to adventure is a simple story set-up in order push the main character towards their journey. I think that Animal Crossing takes this approach with their narrative, by setting up the character in the game world in a simplified way. After this point, there is no definitive narrative for the player to follow through and there is no “end” to the game. The game does not follow a typical three act structure, but instead has a short act 1 and the rest of the gameplay occurs in (what could be considered) act 2 (Nacke, 2014d; Nintendo, 2013). Bartle developed four main player types for games: killers, socializers, achievers, and explorers. Animal Crossing appeals to three of the fours player types, by this point it should be easy to guess that the game does not appeal to the killer player type. Killers thrive on competition with other players and causing destruction. In Animal Crossing players and CPUs cannot be killed, there are a limited number of ways to be harmed or cause any destruction, and the game is mainly cooperative. Animal Crossing focuses on the the other three player types with the core of the design being developed for achievers (Nacke, 2014d; Nintendo, 2013). Achievers are completionists and want to finish all of the game objectives. Socializers want to interact with other players and develop relationships. Explorers want to find everything that is possible within the game. What can we learn from Animal Crossing? Animal Crossing provides a great example of an open world game that utilizes a simple narrative to hook players into the gaming experience. Narratives often immerse players into a game by allowing them to interact with the story, buy Animal Crossing proves that players also desire to build their own experiences and narratives(Nacke, 2014d). In addition, Animal Crossing utilizes real-time to develop their complex system structure. This is interesting since it allows them to create scarcity, randomness, and effectively use time to alter the game environment every day (Nacke, 2014c; Nacke, 2014a). Brathwaite, B., & Schreiber, I. (2009). Challenges for game designers. Boston, MA: Course Technology/Cengage Learning. Nintendo. (2001) Animal Crossing [Game Cube]. Kyoto Japan. Nintendo. (2005) Animal Crossing: Wild World [Nintendo 3DS]. Kyoto Japan. Nintendo. (2013) Animal Crossing: New Leaf [Nintendo 3DS]. Kyoto Japan. Sony Computer Entertainment. 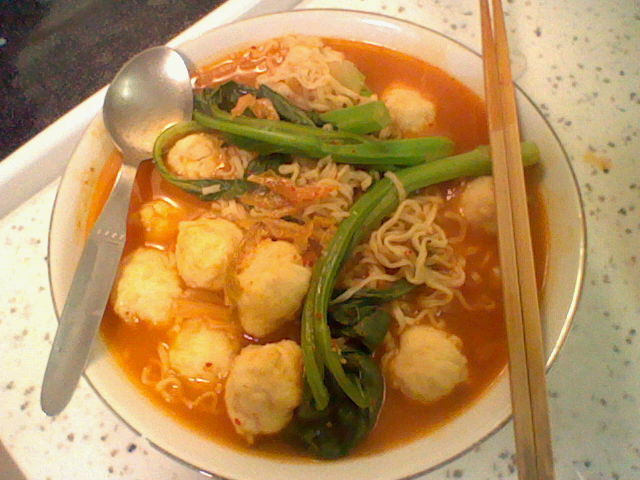 (2007). Uncharted: Drake’s Fortune. [Playstation 3]. Tokyo, Japan.